Are you a walking tax or a walking dividend? 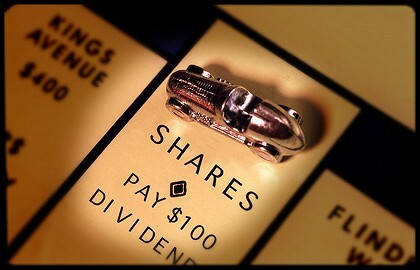 A tax or a dividend, that is the question. Today on my way to work I was listening to an audio book by Stephen Covey called The Speed of Trust. It is an excellent book and I highly recommend it. I have a lot to learn on the topic of trust and find this book most helpful. The question of being a tax or a dividend revolves around trust. When you engage with those around you are you taxing the trust out of the relationship/sitatuation or paying a dividend into it? Do you leave it better than when you arrived? Trust is hard and it is complicated, but there are some simple basics to using it. 1) You control how you display your trust – Everyone has the capacity to trust, no matter what life has done to us, for us, or by us, in the end it always comes down to a choice, the choice to trust or not. 2) Trust is learned, grown, nurtured, and developed. It is most often a deposit on an unseen future. 3) It is risky to trust people, but it is an even greater risk to not trust at all. A few weeks ago I had 2 young men show up on my doorstep on a Sunday afternoon. As I answered the door I wondered to myself why are they here? It turns out they were inquiring if they could have the old hay bales off my septic field. As it was I had been dreading having to haul them off the field and dispose of them as they had served their purpose for a few winters. Quietly thanking God in my heart for saving my back the strain of lifting these I told the men they were happy to haul away as many as they wanted. Upon looking out in our driveway I noticed they were driving an SUV. I asked them how they were going to haul them, “We’ll put them inside our vehicle” was the response. I had a choice to make at that point, I had a perfectly good utility trailer sitting beside my house and could give it to these 2 men whom I had no idea where they lived or who they were. I choose at that moment to extend the offer for them to use it. As they left down the driveway with the bales I thought to myself, I hope they learn from this that people still do trust each other. As I told the story to my wife later that evening she looked at me with the look only she can give me, you did what? Thinking back on it at that time I did realize it seemed a little foolish. I had no idea where my trailer was and no idea who I gave it to. They gave me their names but with my memory those were long gone. I explained to her that I was hoping to show them to extend trust even in situations where guarantees are not evident. Sunday evening I went to bed and there was no trailer beside my house. On Monday as I drove down the driveway and off to work I could not help but notice the spot where my trailer used to sit. I wondered, will it come back? I choose to continue on trusting. Monday evening I came home from work to find no trailer… even though my wife could legitimately being to question my wisdom she refrained. On Tuesday as I left for work I looked over beside our house and there sat my trailer. I decided then and there that trust is worth the risk, and looking back now I see that it was then I was paying a dividend.